Chicago is a city where dreams come true, goals are audacious, and innovations are born – and we’re grateful to be a part of it all. While Shields Meneley Partners works with CEOs and other top executives around the globe, we’ve found a large percentage right in our own backyard. In tribute, we wanted to honor some of Chicago’s most unstoppable CEOs, and cheer them on. Whether you’re on this list, or drawing inspiration from it, we hope that our roundup is just what you needed to get motivated today. As CEO of World Business Chicago, Jeff Malehorn has heavy expectations from the business and civic community. The organization describes themselves as “a public-private, non-profit partnership that drives inclusive economic growth and job creation, supports business, and promotes Chicago as a leading global city.” Malehorn is in charge of leading them towards success. So far? He’s done a phenomenal job. Malehorn is a former GE executive who chose to switch to the nonprofit in 2013 to focus on the local economy and job creation. 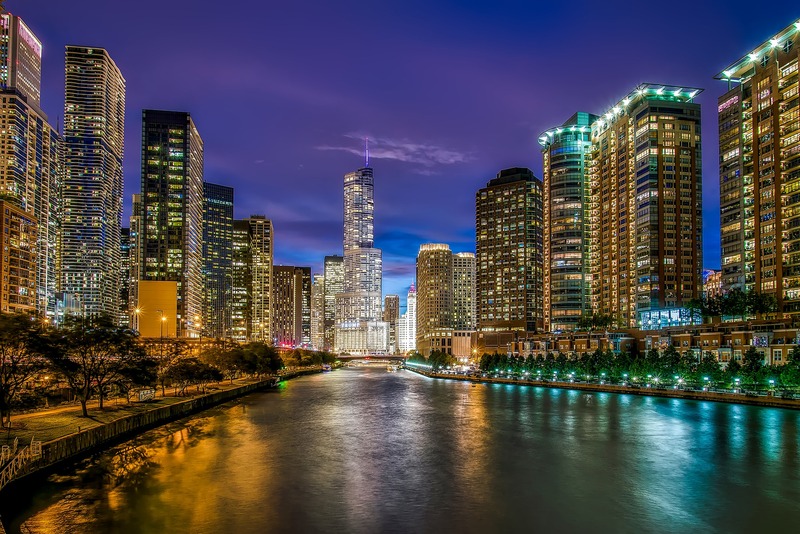 The city is now listed among the top 10 business cities in the world, and leads in corporate relocations, in part due to Malehorn’s and WBC’s efforts Malehorn credits his ability to “sell” Chicago as an ideal business environment based on his experience working all over the globe. You’d think that not much more could be said for being the CEO and Chairman of one of the biggest banks in the world, but David Nelms continues to impress. Not only has he led Discover Bank to significant growth, he hasn’t forgotten to lift up the Chicago community along with his own success. Discover Bank has made a point to incorporate philanthropy, volunteer work and social initiatives throughout, from partnering with local organizations to build the community to assisting with financial education in Chicago schools with their Pathway to Financial Success Program. One of the newest appointments, Taylor Rhodes was named CEO of the IPO-likely tech company SMS Assist in May of this year. Rhodes managed cloud services innovator Rackspace through a successful IPO, but craved to lead another small growth company. After finishing with a strong fourth quarter, Rhodes announced in a public blog post that he was taking on SMS Assist. It’s rare for a CEO to step down right when they know they’ve made their greatest contribution, which makes us all the more impressed with Rhodes. We’re excited to see what happens with SMS Assist under Rhodes’ leadership, and all of the positive advancements a rapidly growing tech innovator will lead in the Chicago tech scene. While there are many more unstoppable CEOs in Chicago, we picked these three to focus on as we find their stories both relatable and inspiring. Each CEO has demonstrated that whether you’re steering one of the biggest enterprise brands in the world, or jumping ship to go with a nonprofit or small startup, stick to your guns and your goals. Great things await you.